A heartbroken Alabama father is suing an abortion facility where his former girlfriend aborted their unborn baby against his wishes. Ryan Magers, of Madison County, Alabama, said he could have been the father of a 1-year-old right now if his girlfriend had not had an abortion, One News Now reports. 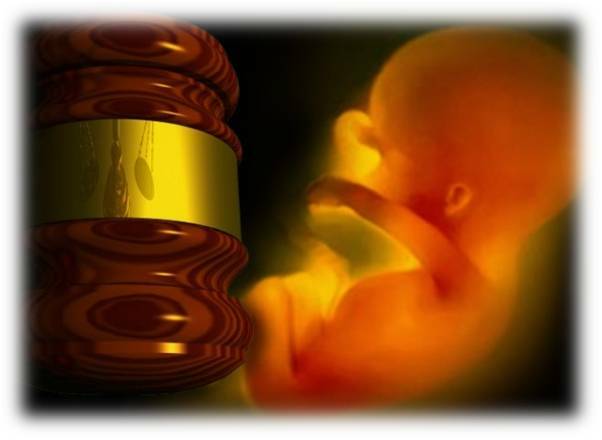 He recently filed a lawsuit against the Alabama Women’s Center in Huntsville, the abortionist and the pharmaceutical company involved in the abortion. Magers said his former girlfriend was six weeks pregnant when their unborn baby was aborted. “Every child from conception is a baby and deserves to live,” he told WAAY 31 TV. Helms said it is not right that fathers have no say in the lives of their unborn children. “[Magers] would have been the father of a child, and he was doing everything within his power to have that come about, and unfortunately because he has no say and because the baby has no say, he’s left without a child,” Helms said. Right now in the U.S., fathers do not have any legal rights to protect their unborn children from abortion. Various state laws requiring that a father be notified or given a say in an abortion have been struck down by U.S. courts. Not long after Roe v. Wade, the U.S. Supreme Court ruled in the Planned Parenthood v. Danforth case that spousal consent statutes are unconstitutional if the statutes allow the husband to unilaterally prohibit the abortion in the first trimester. In a subsequent case, Coe v. Gerstein, the high court extended that decision to a spousal consent law regardless of the stage of the woman’s pregnancy. Then, in the 1992 decision Planned Parenthood v. Casey, the U.S. Supreme Court struck down a law requiring that a married woman notify her husband of her plans to have an abortion prior to it taking place. Though the Alabama lawsuit almost certainly will be thrown out, it is a strong reminder of how abortion affects more than just a mother and child. There are countless heartbroken fathers across the country who have to bear a lifetime of grief because their partners chose to abort their unborn child against their will. The Men and Abortion Network (MAN) is available to help fathers of aborted children. It provides free resources to fathers like Magers as well as men who agreed with or even coerced their partner into aborting an unborn baby but now regret it.